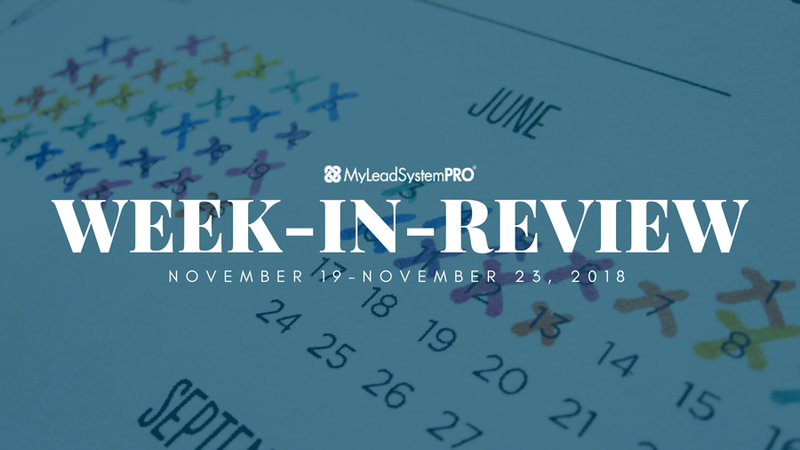 Even a busy holiday week doesn’t stop our leaders from coming out to give you their best mindset secrets so YOU can build your own six-figure online business. It was Thanksgiving week last week, and as you’ve probably figured out, the MLSP family is super grateful for YOU! Our member, our community, and our blog readers mean the world to us. And everyday our leaders are all about giving you as many tools and weapons as possible to live your dream. Of course your best weapon is the one between your ears, and we do everything we can to sharpen it every single day! Check out all the amazing value MLSP and our leaders dropped throughout the week so that YOU can rewire your brain for success! Are you waiting for permission to go out there and start winning? If so… you’re wasting a ton of precious time that would be much better spent just doing the things that could create those wins you’re looking for! L5 Steve Rachel is of course known to our community as a master of social media marketing…but many don’t realize he’s an amazing mentor and coach as well. And he sees people getting held back and he wants to put an end to it now! He went over this on the Monday Wake Up Call, and it’s going to be an eye-opener for YOU as soon as you listen below! Why you don’t need permission to be great, to win, and to be successful! The other P word that’s 10X (or more) important than Permission! Steven is man totally dedicated to YOUR success, and he proved that once again when he went LIVE on the MLSP Facebook Page to dig deeper into his topic. You’ll never ask for permission to create the life of your dreams again after you watch the replay below! One thing is for sure in business and in life. You WILL face disappointment at times. It’s inevitable. The trick is learning to deal with it in a way that it serves you, instead of of hurting you and holding you back forever! Even a multi six-figure business owner like Mark Harbert finds himself facing disappointment at times. Yes, even the guy who basically wrote the book on Video Marketing in our industry! However when you hear what Mark had to say about this subject on Tuesday’s Wake Up Call, you’ll know from now on how to deal with it and how to help you WIN! Why if you’re facing disappointments in your business — you’re not alone (and you’ll be surprised who else faces disappointment as well! What disappointment often lead to that could begin your demise in business if you’re not careful! We all do it! We compromise in areas of our lives, thinking that they won’t leave much of a mark. However there is a cost to compromise, and you need to not only understand that…but you need to learn how to defeat it in your business and life! Ron Gelok understands this first hand, and he came on Wednesday to help you see some of those dangerous compromises that you may be making, and how to STOP once and for all! If you’ll pay close attention to what Ron has to say in his Wake Up Call from Wednesday, it may change everything so you can get some big wins in the last weeks of the year! What Ron’s seen as the culprit every time someone (including himself) hasn’t hit a goal they set out to achieve! One thing that Ron doesn’t compromise is his dedication to YOU! He proved that on Wednesday when he went LIVE from the MLSP Facebook Page, and went even further on this important topic! Nobody knows about determination more than L5 MLSP Rockstar Erin Birch! This amazing lady went from knowing absolutely zero about online marketing, to creating a six-figure business in her first year by learning attraction marketing and prospecting on Facebook!! Now she gets to travel the world with her kids, and is able to live her life on her terms. Not some boss. Not let her bills dictate what she can and can’t do. If you want that for YOUR life, it takes relentless determination. And that’s exactly what Erin talked about when she went LIVE from the MLSP Facebook Page on Friday! What you must do in the beginning when you’re building your business so you can create massive momentum! Do you want to be one of the people who accomplish in 1 or 2 years what most people accomplish in 8 or 9? (then relentless determination is what you need! The things you can do for YOURSELF to Level Up your Determination! How Will You Use What You’ve Just Learned to Crush the Last 5 Weeks of 2018? Yes. There are only five weeks left in 2018. That means you’ve still got time to crush it in your business, and get a huge head start for the coming new year. 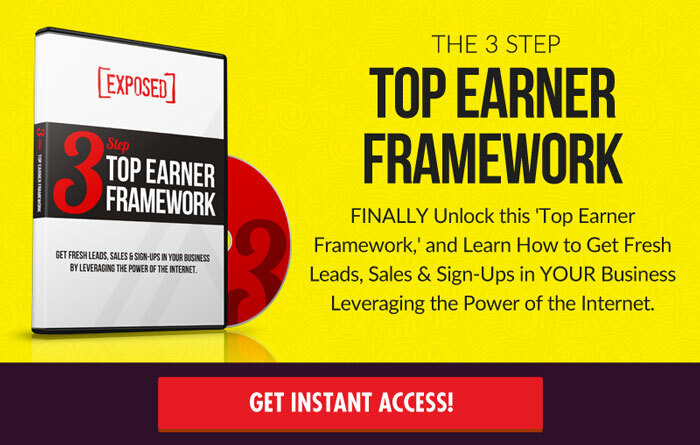 We want to know how you’ll use what you’ve just learned from these six-figure earners who are living their dreams just like you could start living yours. They just showed you how to avoid the common pitfalls that you’ll see in business and in life, and how to rewire your brain for the same type of success that they’ve achieved. It’s up to you to put this into action starting TODAY and for the next coming weeks. Leave a comment below and let us know what you’ll do!